Thanks, Apartment Prepper, for inviting me to write a guest post about Homemade MREs. I am passionate about food storage and my first book, The Prepper’s Pantry is all about setting up food storage with both a deep larder of long term storage foods, and also a rotation pantry filled with canned goods and home pressure-canned meats and chicken. I love the idea of having plenty of dehydrated and freeze dried foods on hand to cook from, but in times of emergency I think it will be really convenient to have ready-made meals, like homemade MREs on hand, and ready to go at a moment’s notice. I sampled several different brands of commercially available entrees. Although some were somewhat palatable, I found most to be disappointing in terms of taste and texture. When I think about all the extra work our families would need to be doing to keep us safe and warm in times of trouble, the commercial meals also fell short on calories needed to sustain us. So I began developing scores of recipes for meals in a jar (or bag) which would be just-add-water complete meals. Some are dry ingredients such as soups or stews and others are home pressure-canned meals of classic braised dishes, such as pulled pork, or brisket. The meals are packaged either in jars or vacuum sealed bags and some come packaged with a “sidekit” a side dish of mashed potatoes, polenta, noodles, tortilla makings or the like. 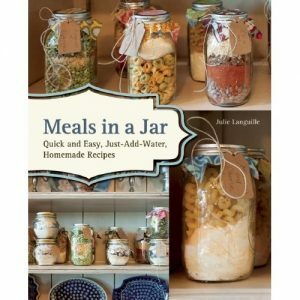 My second book, Meals in a Jar: Quick and Easy, Just-Add-Water, Homemade Recipes, which is due out in March of 2013, is a collection of homemade MRE meals. The entire book is filled with great recipes for dry soups and stews, perfect for lunches as well as big braises; savory meat and vegetable packed meals sure to satisfy the biggest man appetites. It also includes breakfast ideas for MREs, egg dishes, and cereals, as well as side dishes, beverages and desserts too. The book can be pre-ordered now. I love the sight of a shelf in my pantry filled with homemade MREs, they taste better than anything I found commercially available, in fact we eat them every week and they are easy to grab and go in a bug-out hurry! They are also fantastic at the end of a busy weekday. Besides pressure canning in jars, Meals in a Jar: Quick and Easy, Just-Add-Water, Homemade Recipes , also covers pressure canning into retort pouches, which are specialized bags you can buy online. 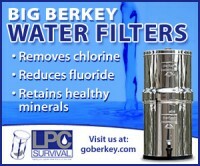 They are inexpensive, light-weight and unbreakable (although they can be punctured – ask me how I know). Retort pouches are a great (and portable) addition to your Prepper’s Pantry. Below is a basic recipe for a chicken noodle soup. I invite you to make up a single batch, adjust it to your tastes and then bag or jar up a whole shelf full. Make a few variations and I guarantee you that you will rest peacefully knowing if hard times are ahead, you have a pantry full of good meals waiting for your family. Combine all ingredients in a bowl. (This makes the ingredients take less room in the jar as smaller ingredient fill the spaces between noodles.) Add to a clean quart jar, top with an oxygen absorber and close tightly or vacuum seal in a bag. To prepare your soup, in a large pot heat 8 cups of water to a simmer, and stir in meal contents. Return to a gently simmer and cook 12 to 15 minutes until noodles and vegetables are tender. Variations: Add dried peppers or corn, or swap out mushrooms for peas or green beans, or substitute beef stock and freeze dried beef for chicken. If you add beans, be sure they are the quick-cooking variety (quick cooking beans have been almost fully cooked and then dehydrated.) Also, stirring in ¼ cup sour cream powder at the end would make a delicious cream-style soup. You can store the sour cream powder in a baggie and tuck it in with the rest of the ingredients to segregate it for adding at the end. Julie Languille is passionate about both food and preparedness. She owns a dinner planning website with thousands of recipes compiled to make dinner planning, shopping and cooking easy for families. She teaches workshops on preparedness and long term food storage and regularly hosts food packaging parties where families gather to make pre-packaged meal kits to build their own food storage as well as bless families in need. Julie lives with her husband and family on lovely Whidbey Island, in the Puget Sound near Seattle, and when not cooking loves to read, sail and kayak in the waters near her home. Julie is the author of The Preppers Pantry and Meals in a Jar: Quick and Easy, Just-Add-Water, Homemade Recipes. Editors Note: Julie’s book, The Preppers Pantry and Meals in a Jar: Quick and Easy, Just-Add-Water, Homemade Recipes is available on Amazon for pre-order. 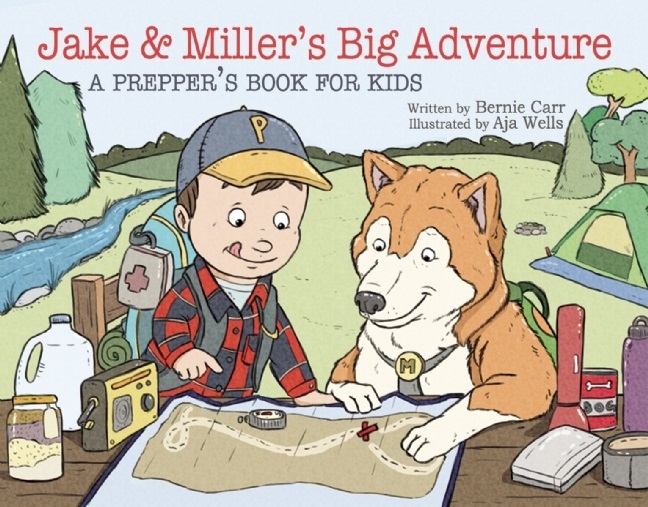 I have also added it to Apartment Prepper Amazon Store. Thank you for making purchases through our store! This is perfect, thank you!!!!! Do you know how long these meals will stay good for? To calculate shelf-life on a recipe with multiple ingredients, you find the shelf-life of the most perishable ingredient and go with that. If you use home pressure canned chicken, I would estimate a two year shelf life. For freeze dried chicken, the shelf life is 10 – 15 years, but only a month once opened, if refrigerated or a week if not. To my way of thinking this means the food is continually exposed to oxygen for complete spoilage to occur. So the more carefully, and quickly I handle my ingredients and return them to an oxygen free state, the more I preserve them for the longer shelf life instead of the lesser shelf life when constantly exposed to oxygen. So that’s the longer answer. The short answer is that I keep my homemade MRE’s in my rotation pantry with my canned goods and plan to rotate through them within 2 years. Of course, if the stuff were to hit the fan, I would not pass up a meal that was past its prime. 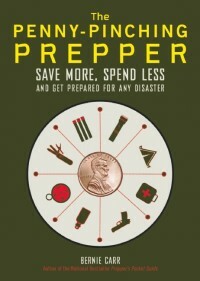 I am unable to locate the book “The Preppers Pantry” on amazon.com. All the book links in the article go to the new book, “Meals in a Jar…” A search using the authors name also locates only the new book. Please advise.